Many exciting and thought-provoking events have taken place throughout our school in this Spring term. We celebrated Chinese New Year as a school and took part in Safer Internet day, where our Digital Leaders delivered a very informative assembly to the whole school. Classes 3, 4 and 6 completed their whole class assemblies which were enjoyed by all. Class 6 told us all about Martin Luther King and the strong message that we should all have a dream to be treated equally. Year 4 told us all about St Valentine and Year 3 gave us an insight into Hinduism and the Gods that are celebrated. Feedback from parents was super. Our Reception children also really enjoyed making pancakes on Shrove Tuesday and learning all about Lent. They followed a recipe and measured out all of their ingredients before flipping their pancakes and eating them….. they tasted delicious! We look forward to more enrichment events before the Easter break which include World Book Day, Year 3, 4, 5 and 6 Bikeability, many sporting events both home and away including football matches, cross country, house tournaments and our sports challenge of the month! There’s always something to look forward too! Please remember, if you need any information about what’s happening at Guilsborough we have lots of information on our website www.guilsboroughprimary.co.uk, or you can keep up to speed our Twitter profile - @guilsboroughpri. All welcome baby – OAP’s. Baby & toddler toys for youngsters. Meet for a chat, coffee/tea, cake. Guilsborough WI for ladies in Guilsborough and surrounding Villages. Guilsborough Women’s Institute for ladies in Guilsborough and surrounding Villages of all ages.We meet the 3rd Monday of every month at the Witch & Sow, 7.30pm for 8pm start, bar is open, tea and coffee complimentary after the speaker. (Bring your own Mugs). Visitors welcome, £5 per meeting.We normally meet in the Restaurant unless an event requires more space and then you will find us in the function room at the back of the pub. Isn’t it nice that the sun has been out so much already this year! It means here at pre-school, we spend lots of time outside in the garden and around and about in the village. For Spring we always plant some flowers and vegetables so that the children can witness them growing and changing and liken it to them growing and developing. The childrenup and changing is one of the themes this term as well as Spring topics such as lambs and chicks being born and of course Easter celebrations. We celebrated Chinese New Year earlier this term and we also haverole play themes of Restaurants and Space which the children have loved participating in. This year has seen a new introduction for pre-school whereby one of our very talented parents runs an Early Years Music Class “Monster Rockers” once a week and the children think it’s amazing fun! As we mentioned last time, our annual Quiz and Curry night happened in. Thank you to those who bought tickets and donated prizes for the raffle, it was a great evening and we raised much-needed funds for Pre-school. On Wednesday 6th, Thursday 7th and Friday 8th of February Guilsborough Academy presented Disney’s High School Musical on Stage. The three evenings were all a sell out………. wide range of times, so as not to restrict when alcohol could be sold, e.g. on a Bank Holiday Friday or Monday. Whenever the GPFA have held events at the Field before, it for a TEN, (Temporary Event Notice) to permit the sale of alcohol. The GPFA must comply with the conditions of the Licence, especially those who can serve alcohol and to whom. The kitchen area at the pavilion has been refurbished with new cupboards and work tops, allow a bottle cooler to be installed, with a security shutter at the servery hatch. District Council provided a 50% grant for the work and have been thanked. Beer, lagers and wine will only normally be sold, plus soft drinks. A card only payment system is planned. The GPFA hope this explains what is going to happen from early May. Please contact the GPFA secretary, Graham.Byars@hotmail.com if you have any queries. Ron Fitch, who lived in Guilsborough from 1961 to 2014, died peacefully in December 2018 in a Care Home in Oakham.He was 91.For over thirty years he worked as Sir John Lowther’s shepherd and was a well-known figure in the world of sheep dog trialling.He was a true countryman.At his request he is buried in Weedon Bec Cemetery - a fitting resting place for an old Weedon boy who after the war rented the field which is now the cemetery and grew potatoes and mangolds on it.His was a life well-lived and he is much missed by his family. The GMADS production of The House of Frankenstein has been postponed until 13-16 November 2019. Please put the dates in your diary. It’s a wise-cracking spoof horror full of zany characters; a great night’s entertainment. CAN YOU HELP GMADS WITH STORAGE? GMADs are looking for space in Guilsborough for storing costumes. If anyone has a suitable dry space, easily accessible, big enough to store a couple of clothing racks, that they would be prepared to share with us we would be extremely grateful, please contact Amanda on 07508 058998. The GPFA have applied for a Premises Licence at the pavilion, hopefully from May 1st. the GPFA held a Club Premises Licence which in effect restricted selling alcohol to only cricket club members. application has to be approved by the East Northants Licensing Authority, Daventry District Council’s Licence officer and committee, and Northants Police. The Premises License permits alcohol to be sold to the general public. The Announcement on this page shows the days and times of the proposed sale of alcohol times. It will say that alcohol can be sold every day between 12:00 and 22:00 or 23:00 at weekends. However, will primarily be sold in late afternoon/early evening after cricket on a Saturday, occasional games on a Wednesday, plus several GPFA events, e.g. Village Lunch on a Sunday, occasional village events on a Friday evening. Notice is hereby give that Guilsborough Playing Field Association (GPFA) has applied to Daventry District Council for the grant of a Premises Licence in respect of Guilsborough Playing Field, West Haddon Road, Guilsborough, Northampton, NN6 8QE, and intends to carry out the following licensing activities. The sale of alcohol at sporting events, e.g. cricket, at GPFA fund raising events, e.g. village lunches, village festivals, and other times e.g. bank holidays, special celebrations, when the Playing Field is hired, to include Monday to Thursday 12:00 to 22:00h, Friday & Saturday 12:00 to 23:30, Sunday 12:00 to 22:00. The licence application may be inspected at the Licensing Authority, Daventry District Council, Lodge Road, Daventry, NN11 4FP, during normal office hours 09:00 to 17:00 Monday to Thursday . 09:00-16:30 Fridays. Any representation by a Responsible Authority or Interested Party must be made in writing to the above address by 27th April 2019. It is an offence to make a false statement in connection with an application punishable on summary conviction of a fine of any amount. A new cricket cage and practice nets have been constructed the Field by Irrifence of West Haddon, and cost £4620. (See photo right ) A grant towards part of the cost was kindly provided by Northants Community Foundation from the Winwick Wind Farm Community Benefit Fund. The previous cage that supported the nets was 25 years old, had rusted and bent poles, and nets which needed constant repairs to prevent balls passing through them. They now have a vermin skirt to deter rodents from chewing holes in the bottom of the . The new cage and nets the most recent English Cricket Board’s recommendations on use and safety. The increased height of the cage enables spin bowlers to toss the ball higher; when this was done with the old cage, the balls hit the cage’s cross poles. Chairman, - Simon Smith, Vice-Chairman Mike Edwards, Secretary Graham Byars, Treasurer Mike Alcock, Publicity Officer & Parish Council Representative Katie Fulcher, Fundraising Chairman Jim Houghton, Safety Officer Gary Wakelin, West Haddon & Guilsborough Cricket Club Representative Richard Allen, Guilsborough School: Kit Woolridge, General Committee Members. Gary Ashworth, Corresponding General Committee members: Steve McGlasson, Sam Darbyshire,Stephen O’Connor, Mark Webster. A key outcome of the AGM was the need to recruit new members from the village to the committee either as observers or fundraisers, as part of a succession plan. We would be delighted to explain more about the GPFA’s activities to those who have an interest in supporting a community organisation who want to provide and encourage sporting and physical activities. There is a “vision” group within the village who are reviewing how best to provide sporting activities for villagers at the Field, and they also would welcome those who could contribute. Please contact the GPFA secretary, Graham.Byars@hotmail.com or 07712649833 or 01604740545. The Parish Council has only one main source of income, the parish precept, which is collected from households with the Council Tax. It is paid in two lump sums to the parish in April and October. 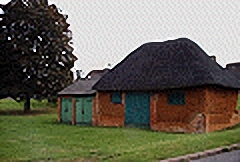 A small additional income is derived from the renting of the Cob barn. The parish sets the precept annually after reviewing and agreeing the next year’s annual budget. This is usually set in January, and is currently set at £23,500.00. This is an increase of 11.8% on last year for reasons explained below. The Parish is also required to maintain a reserve of approximately 50% of the budget. So how do we spend your money? Other expenses include maintenance and replacement of the village assets and street furniture on a regular but ad hoc basis. One-off large expenditure items to improve the village environment or address specific issues raised by parishioners. Recently this included the replacement vehicle activated speed sign on the West Haddon Road and later this year the resurfacing of the access and front parking of the Village hall. Most years we make a small number of discretionary contributions to local community groups. The Councillors are always keen to support new community initiatives or expenditure that can improve the village assets and make them more useable (e.g. the village hall kitchen). Although the specific issues of Northampton County Council have been well publicised there is also a national trend for Councils not being able to fund and maintain the level of services we have accepted as being normal. Grit bin located at the top of Pells Close and the weed killing along the boundary of the roads in the built up part of the village. In addition we have been asked to contribute to the funding of a replacement bus service (£32K/annum) and even a community police officer (£47K/annum). It is highly probable that over time other services may be withdrawn from the new Northampton Unitary authority. Clearly we would all wish to support the maintenance of services to the village, however it is not practical for the Parish Council to manage such large expenditure items and unrealistic for our Parish households to pick up the resulting cost of a large increase in the precept. Please remember, if there is a Parish issue that concerns you, please contact a Parish Councillor or Contact the Parish Clerk if you would like to discuss an issue at the monthly Parish Council Meeting. Many of you will have noticed the new vehicle-activated speed sign that has replaced the old matrix sign on the West Haddon Road. In response to concerns expressed by our parishioners, regarding excessive speeding within the village, the Parish Council has funded the replacement Vehicle Activated Sign (VAS) at a cost of £4,295.99. The sign displays the speed of oncoming traffic and this has been found to be more effective in reducing vehicle speed when compared with a display only indicating that the speed limit has been exceeded. Considerable research was carried out with other local parishes to understand their experiences and the impact of using this type of sign and to ensure the most appropriate sign was selected for this location and its proximity to the school. To minimise costs, the sign selected makes use of the original pole and permanent electricity supply. A key feature of the unit is the ability to analyse traffic speeds and infringements of the speed limit. The PC will monitor the impact of the new sign on speeding and if it is proven to be an effective deterrent, consideration will be given to the purchase and installation of further device(s) around the village. This will be held on 9th April 2019 at 8pm and we encourage all parishioners to attend.